That is some Italian math! Athough it is a quad and not a trike I thought you, the reader, might find this interesting. This is the FAHRRADI FARFALLA FFX. Don’t ask me to say it. I have a hard enough time writing/typing it. 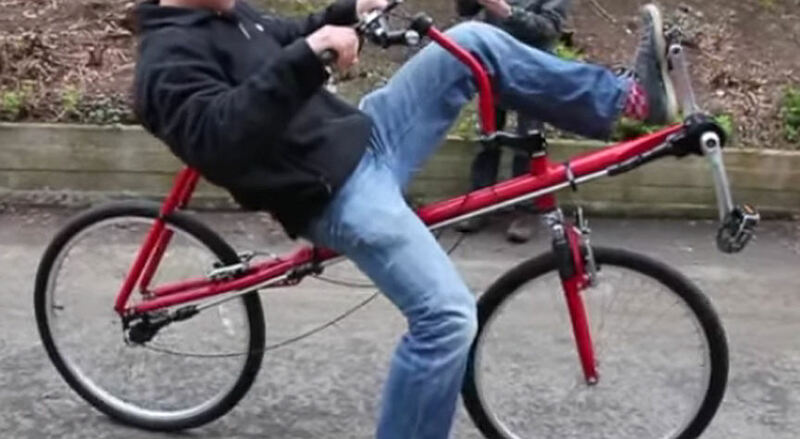 Anyway, it is a pedal powered Ferrari. Instead of burning up the roads with a 809 horsepower internal combustion V-12 gasoline engine this tamed down vehicle still draws a crowd as it moves along oh so slowly in comparison to the real Italian stallion … under human generated power via the pedals … making it quite possibly the ultimate green supercar. It weighs 220 pounds and has 11 gears. Put some sort of a floor inside there and you definitely could haul the groceries. You could even stretch out and sleep. It was created by Austrian artist Hannes Langwelder who previously created the Ferdinand GT3 RS modeled after a Porsche 911. 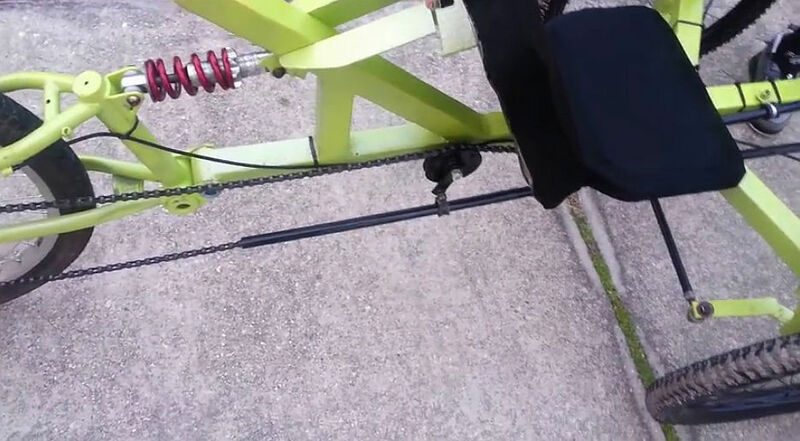 It is my understanding that this pedal powered machine was modeled after two different Ferraris … the FFX and the Enzo. One article said … “with clear Enzo and FXX influence”. You can read more about it in Gizmag. And HERE is another article on it. And yet another article HERE. If this jalopy grabs your fancy it can be yours for the small price of 1.6 million dollars. And I thought the Windcheetah was expensive. 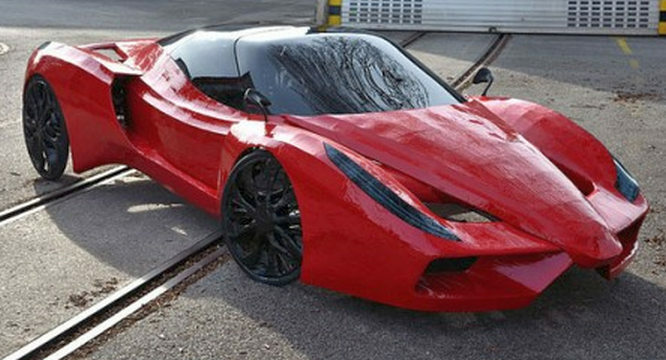 Actually that is only about a million dollars more than the real thing … all 809 hp of it. Hey, as they say … if you’ve got it, flaunt it! You might end up being the envy of every kid on the block. Some are saying that this is the ultimate green vehicle. It looks red to me … Ferrari Red, in fact. But hey, what do I know? 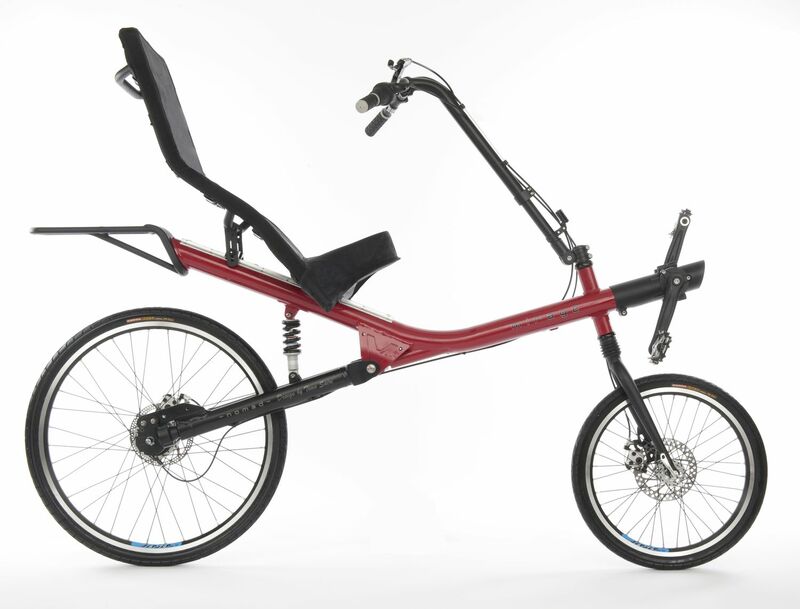 As for me, I am thankful to have my ‘run of the mill’ Catrike Trail tadpole trike. And it too is a green vehicle. 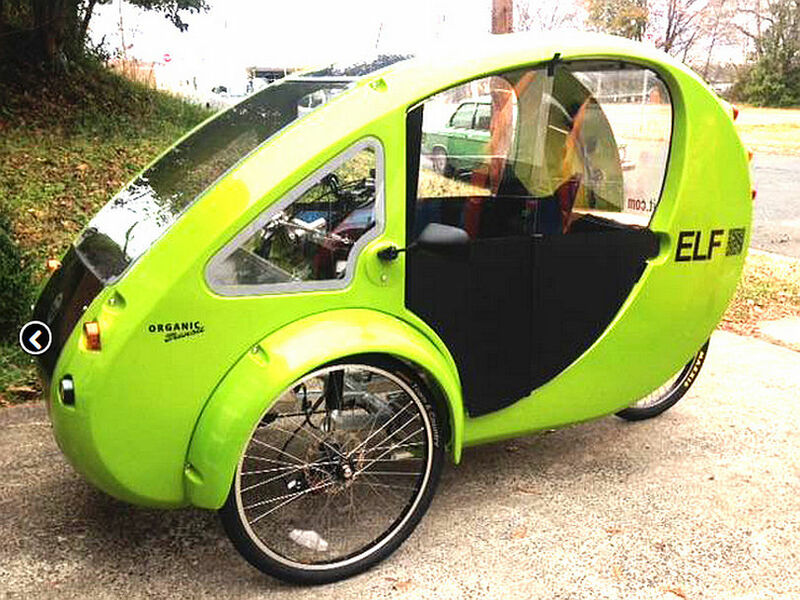 It may not be the ultimate green vehicle, but it most definitely is green … see? Hey, don’t laugh … I just may be able to go faster than that red bomb. SHAFT DRIVEN … WHY NOT? 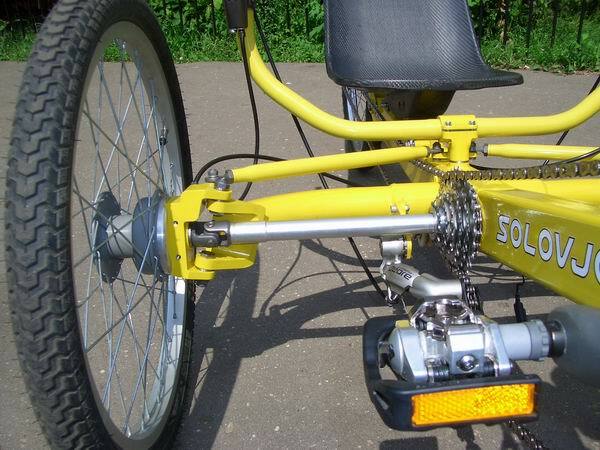 Shaft driven tadpole trikes? Yeah, why not? I would love to get rid of all that chain and sprockets. 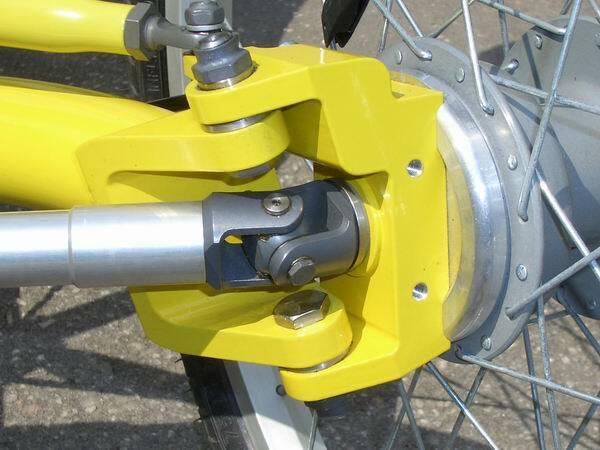 Shaft drive has been used on motorcycles for many years and some bicycles have had it. Yes, I know there is a loss of efficiency going from chain and sprockets to shaft drive. There are usually pros and cons to everything. 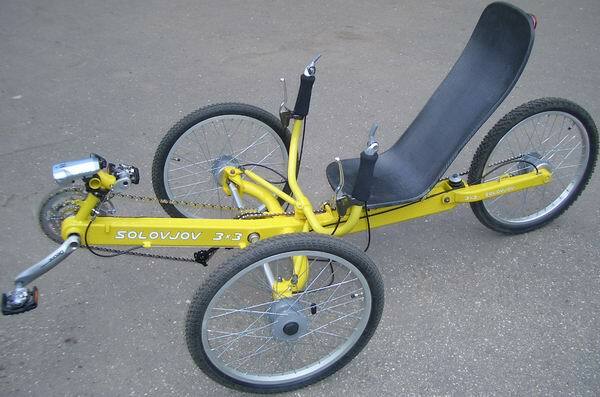 There is a recumbent bicycle which has shaft drive. I think it is in it’s “kickstarter” program at this time. 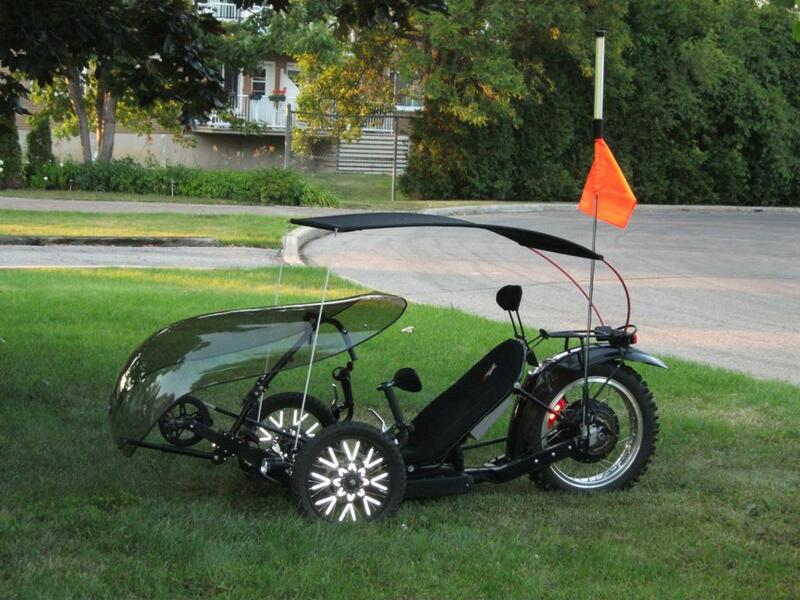 The bike is called the Mirage Nomad. BROL has a good article on this bike. 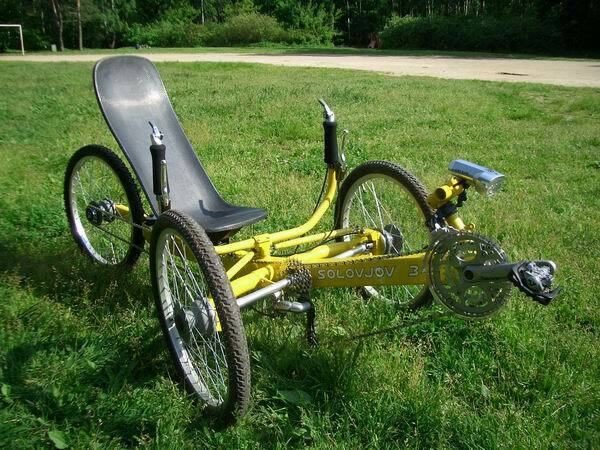 I share this about the shaft drive recumbent bikes because if it can be done with a recumbent bike there is no reason why it couldn’t be done with a tadpole trike. 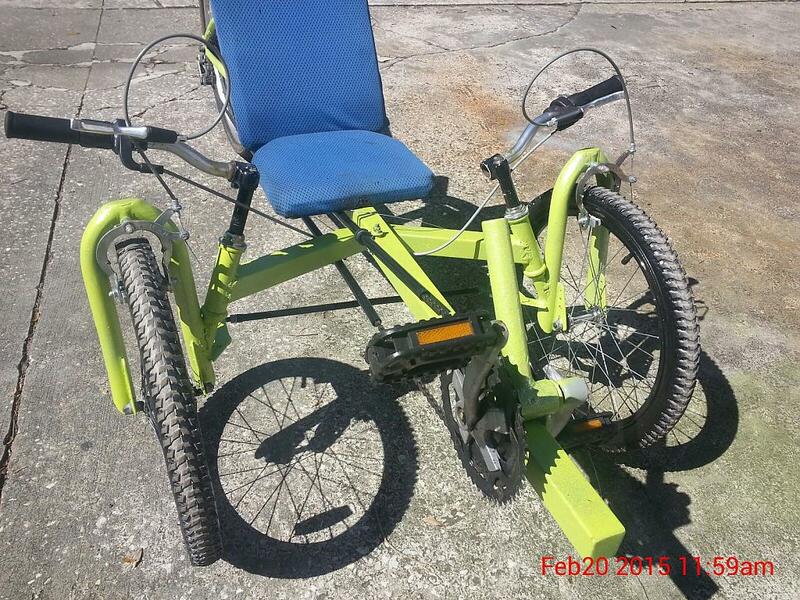 I would assume it is only a matter of time before someone comes up with a shaft drive setup for a tadpole trike. I will be interested in seeing it. 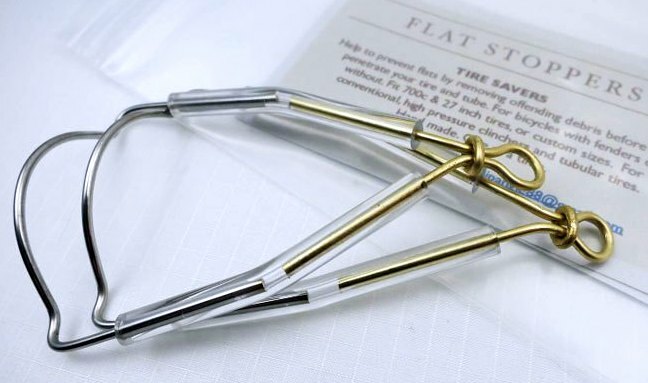 Every once in a while I come across something where I can’t help but say to myself “why didn’t I think of that?” Such is the case with this nifty little invention … tire wipers. Using this little gadget helps clean off foreign matter which if left on the tire could work it’s way into the tire and cause a flat. I wonder how it would do with mud. I have more problem with mud than anything else. Anyway, at $18 they are affordable. HERE is an article written about them and HERE is where to buy them. 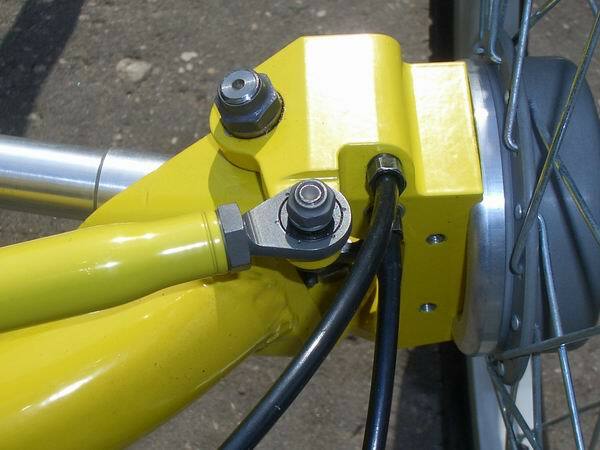 The article says that they are installed at the exit (front edge) of your fenders. I would think they would be placed on the entry (rear edge) so that work to remove foreign matter as soon as possible. Also if they work for mud I would think they would be more effective wiping the tire of mud before it gets to the fenders. I could be wrong about this as far as which is more effective. Obviously on the front edge of the fender they would be facing the opposite direction from what they would face on the rear edge. Looking at the picture I see the clear plastic tubing and notice that the steel is in two pieces with a gap in the middle of the plastic tubing. This obviously would allow the steel scraper to be able to move like it is hinged. I don’t know if this is needed but apparently the person making this has deemed it is. I would be curious as to how a solid piece of steel would work . I would think it would work fine with the possible exception of being a bit harder on the plastic fender where the unit mounts. Ten months of on and off work produced this nifty machine. I am so very impressed with the results. Obviously a lot of thought, planning and work went into it. 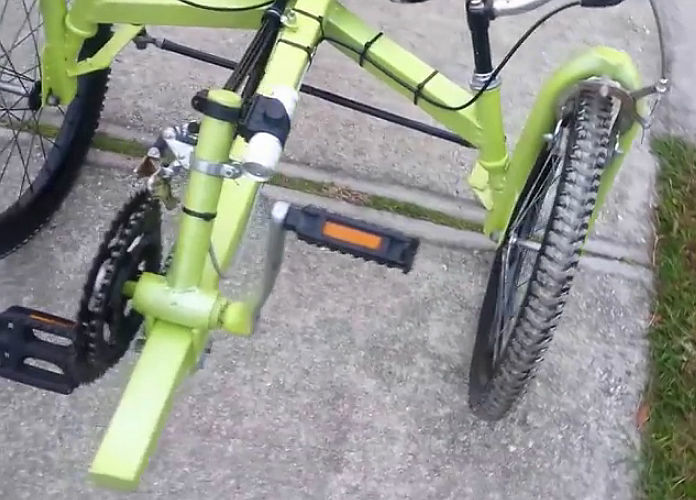 You can even back up with this puppy by just pedaling backwards. Now that is neat! Controller: Lyen 10kW 24 FET modified by Zombiess. Rear wheel: Mopped 16″ alu rim with a motocross studded tire laced by JRH. 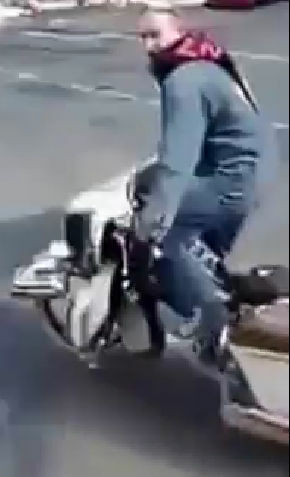 As you can see he has a pretty aggressive tread on that rear tire. With all that power he no doubt needs it. 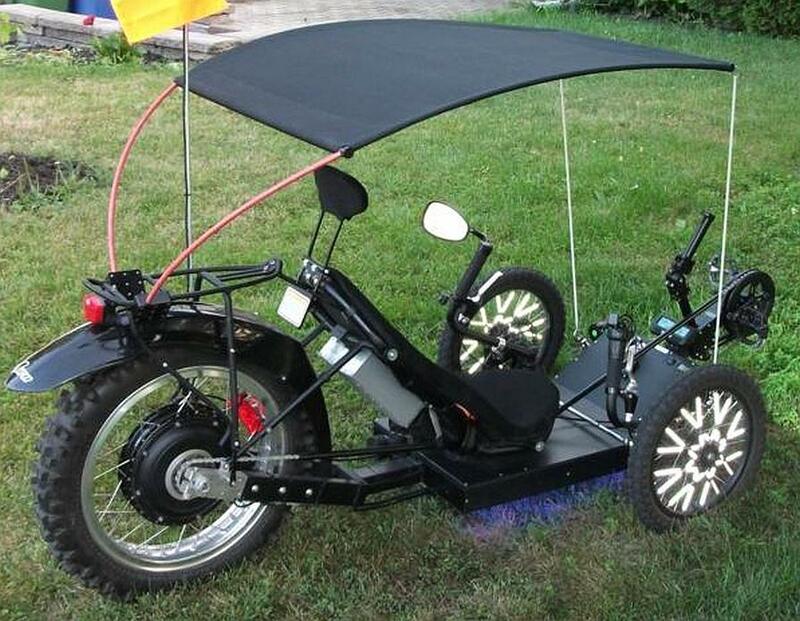 You can read more about this trike and future plans HERE. It sure looks like he is enjoying the ride. And I truly hope all the rest of us do as well … even if our ride isn’t this elaborate. I saw this video posted on Facebook. It is not about tadpole trikes. It is not even about any other kind of trike. And it is not about recumbents. But I think you will agree that it is quite unique. Notice this Harley Davidson motorcycle sitting in the bicycle lane waiting on the traffic light to turn green. Shame on him! Now watch as the light turns green and the rider takes off. It is fake … it’s really a bicycle. I bet that is one heavy bicycle. The chain of a bicycle or tricycle is something which is sometimes ignored and taken for granted. Yet it is so very important. You can have the very best bike or trike and components money can buy and keep it all in tip top shape, but if you ignore the chain to where it fails or it just breaks you can’t and won’t go anywhere. Some other parts on a cycle could fail, even fall off, and you would still be able to ride it, but if the chain fails you are “dead in the water”. You will just sit there and “spin” all day. I have previously written about chains mainly covering care, maintenance and wear. HERE is a link to that article. 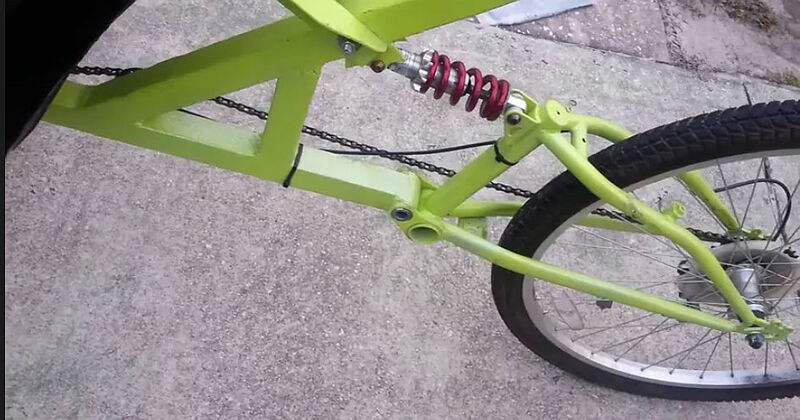 And HERE is another article on this subject where I shared a video produced by ICE trikes. 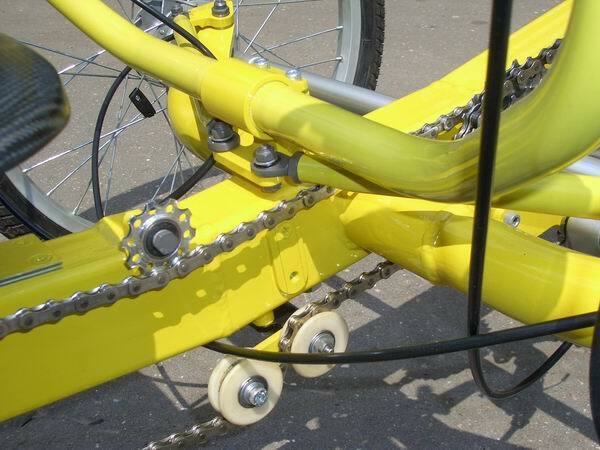 When it comes time to replace the chain or if the boom is being repositioned more than a short distance it is imperative that the chain be the correct length for everything to work correctly and without causing any damage to the rear derailleur (if you have such an animal on your trike). 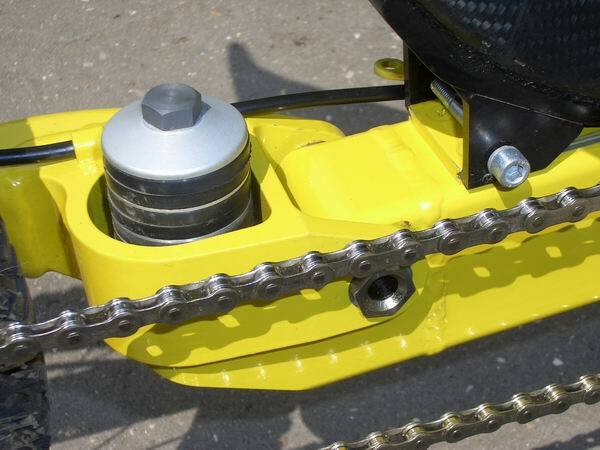 Below is a very short video covering how to determine the correct chain length. 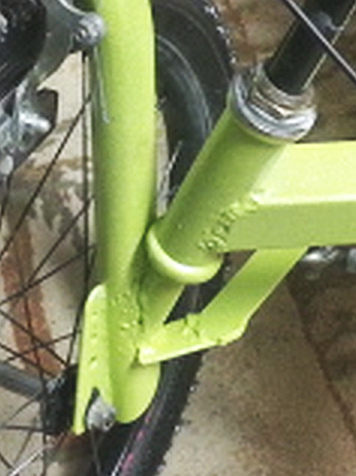 In the video the rear derailleur “cage” is referred to. 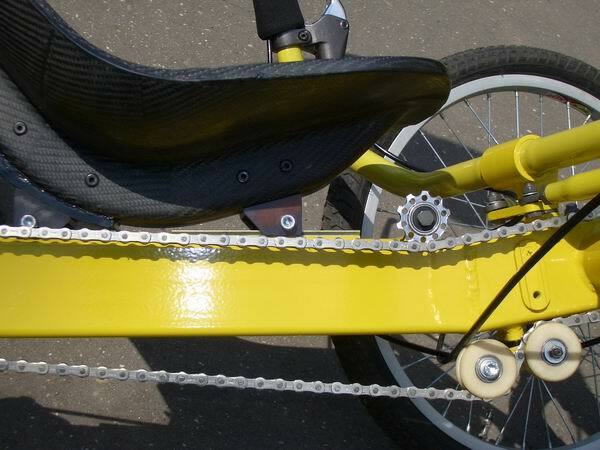 The cage is that portion of the derailleur that has the two small idler pulleys the chain runs thru. Here is a picture with the cage outlined in red. 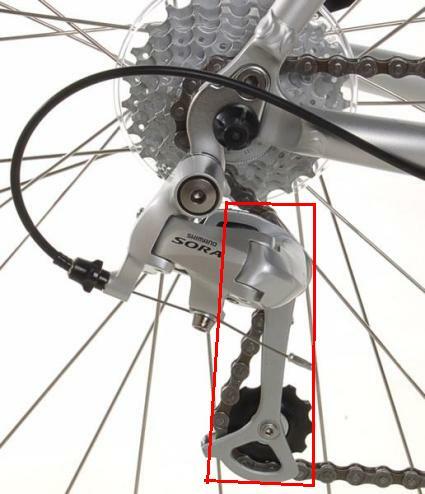 Please be aware that in this picture the chain is not positioned on a “center” cog as is necessary in determining the proper chain length. The picture does, however, show the cage in the approximate 6 o’clock position. 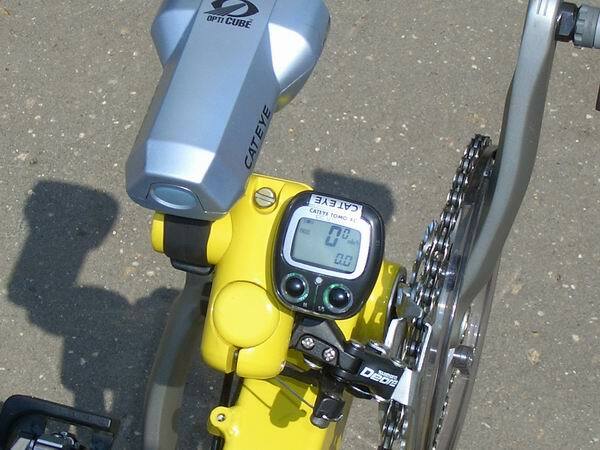 Near the end she said the rear derailleur should be in the six o’clock position in relation to the rear derailleur. Although you hopefully understood this I want to clarify it. The cage with the two idler pulleys should be in the 6 o’clock position. In other words the two idler pulleys should be in line with each other vertically (perpendicular off of the ground/floor) one above the other … like the picture above shows. 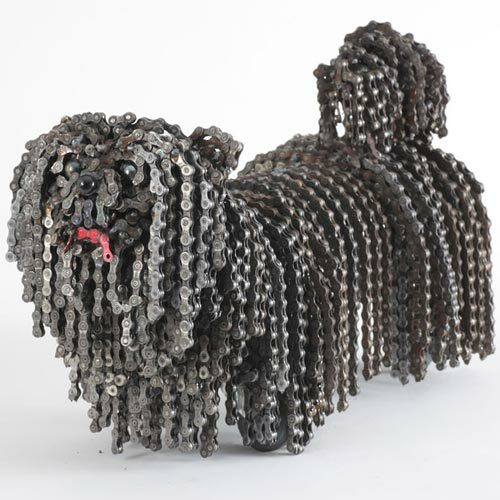 I caution you when replacing a worn chain … do not put a new chain alongside of a old worn chain to match it’s length as a worn chain will be longer than a new chain so this method is flawed. If your old chain was the correct length you can safely count the links and match them on the new chain. Or you can use this method shown in the video to determine the proper length. Keep in mind however, that this method using the position of the cage in the 6 o’clock position may be slightly off depending upon your particular application. Be sure to check it carefully according to the instructions in the next paragraph. The thing you need to be sure of is that when the gear selection is largest chain ring (sprocket) on the front to the largest cog (sprocket) on the rear your derailleur will handle it and that the cage not come too far forward horizontally and run out of “effect” to where the chain tightens up. 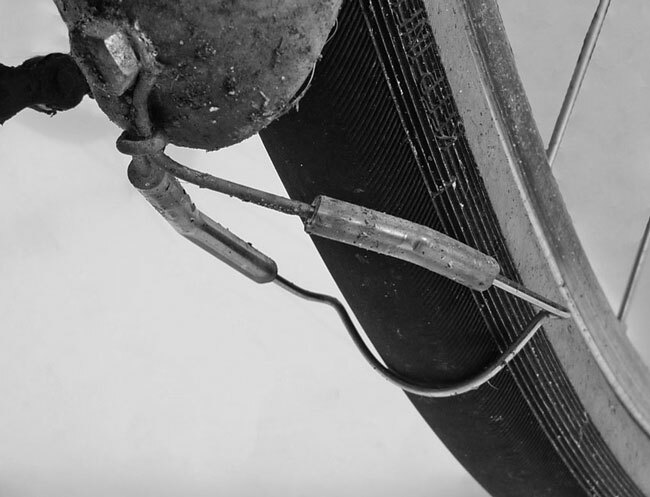 If this happens the chain can damage the derailleur. In the opposite gear selection … smallest sprocket on the front to the smallest on the back the rear derailleur cage should handle the chain without the chain coming back onto itself and rubbing as the pedals are turned. 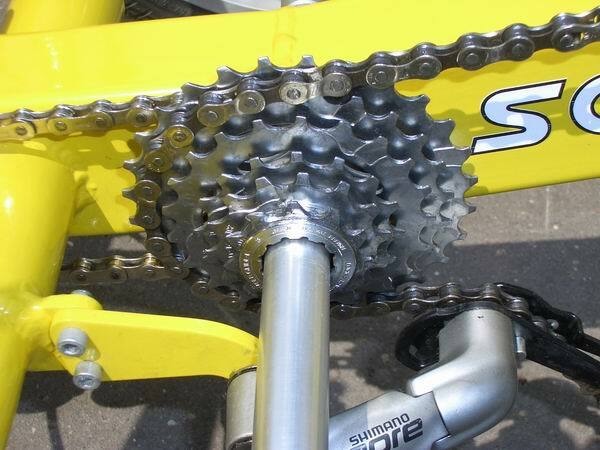 One way to determine proper chain length is forget about running the chain thru the rear derailleur and just place the chain over the largest front chainring (sprocket) and on the largest rear sprocket and add 2 links or 1 link + Power Link (missing link). After you make the chain this length then go ahead and route it thru the rear derailleur before assembly. Be sure not to have a twist in the chain when you go to connect the two ends together. 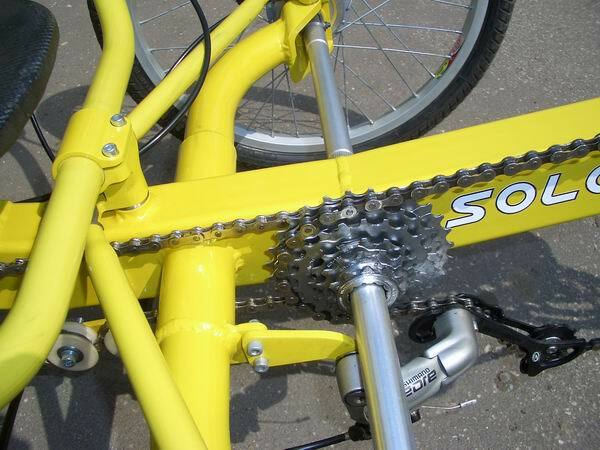 Too short of a chain is more of a concern than too long. Too long will just result in the chain drooping and possibly the derailleur not being able to handle all the extra chain resulting in not being able to go into all the gears. And as I said, too short of a chain can result in damaging the derailleur … turning it into a pretzel. And rear derailleurs are just too expensive to go around making them into pretzels. 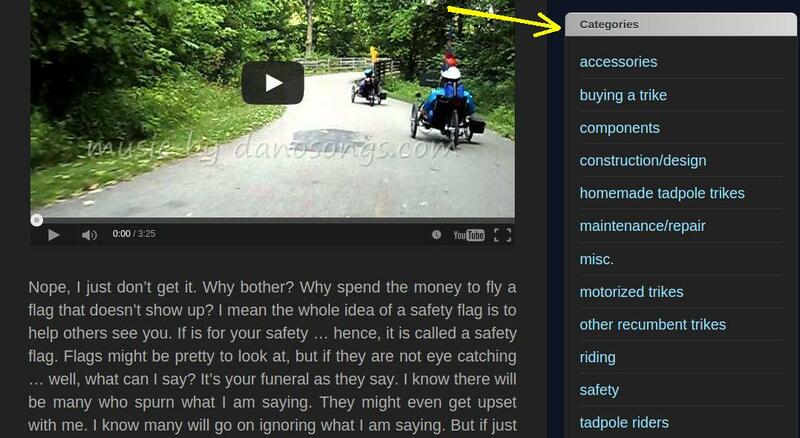 HERE is ParkTool’s excellent webpage on this subject. And HERE is Hostel Shoppe’s webpage on the subject of adjusting the boom and determining proper chain length. 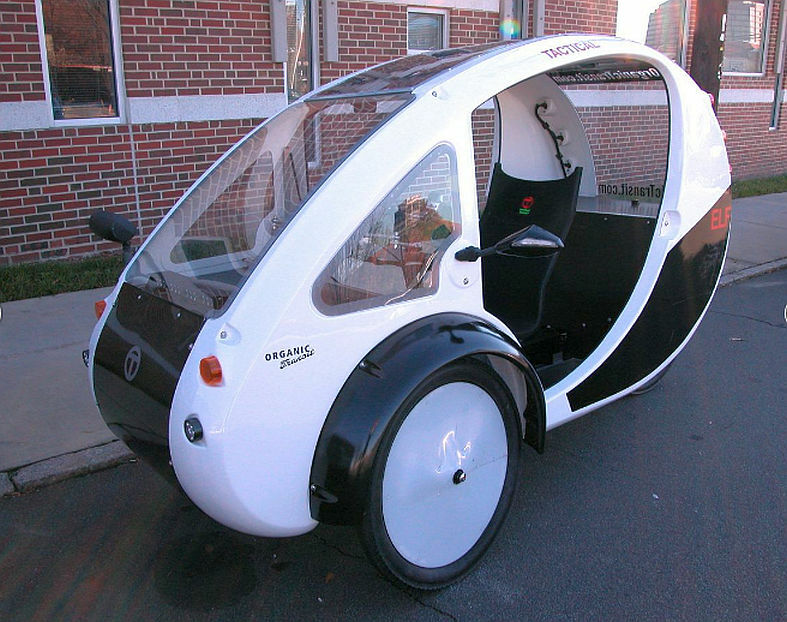 Velomobiles are an interesting animal. Some are quite streamilined and slick looking. They look like they could fly if they had wings or compete with the fastest of race cars. Of course neither is true. But don’t underestimate them. There truly is somthing to that slick looking design. The view from the pilot seat might even look like your are looking out of the cockpit of a jet fighter plane. 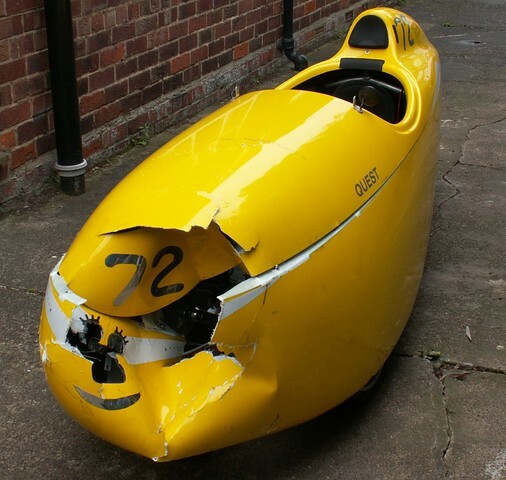 Did you know it takes 3.5 times more physical effort to ride a bicycle than it does a velomobile? 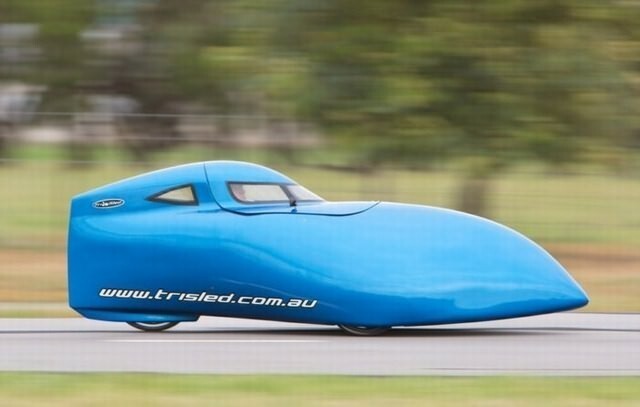 So while a well conditioned bicyclist may be able to ride at 25 mph someone of the same physical ability can pedal a velomobile along at 30 plus mph. 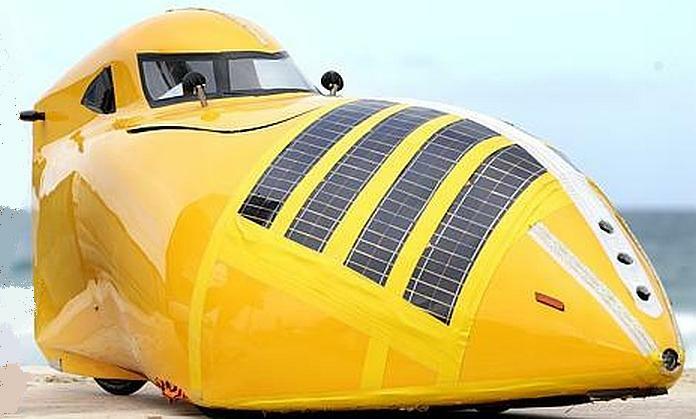 Keep in mind that this is dispite the fact that the velomobile weighs far more than a bicycle. 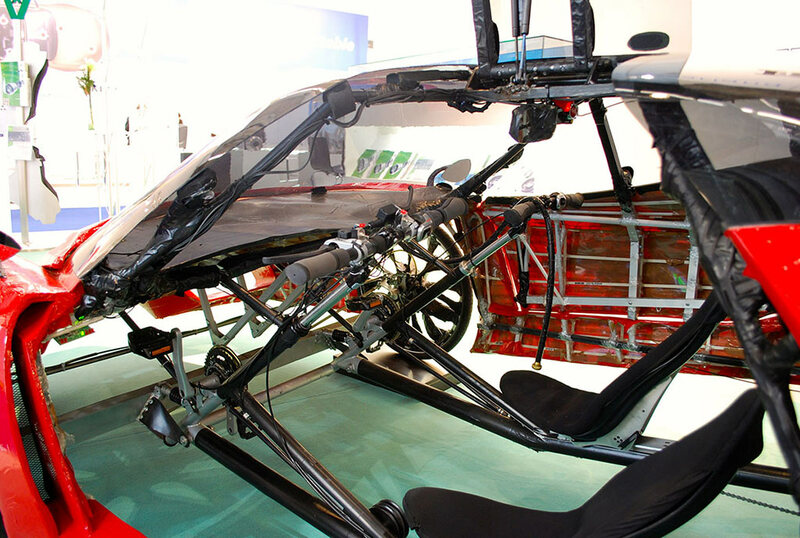 HERE is a list of velomobiles which have been made in the world. 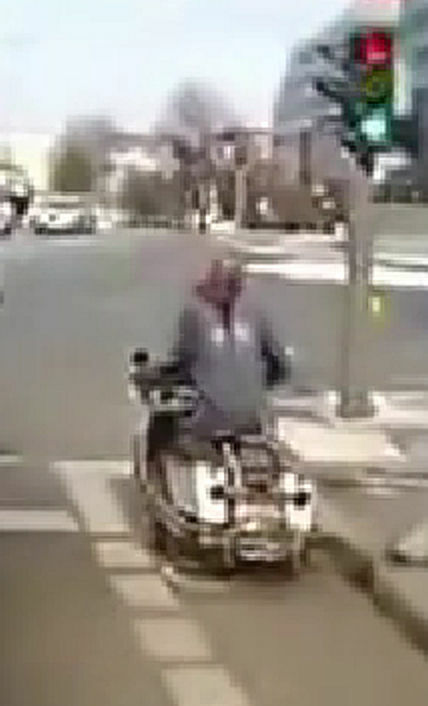 Another factor is that they offer a degree of personal protection not found on a bicycle or even a tadpole trike. This one was hit by an SUV. Obviously it is a bit messed up but that is not true of the pilot. 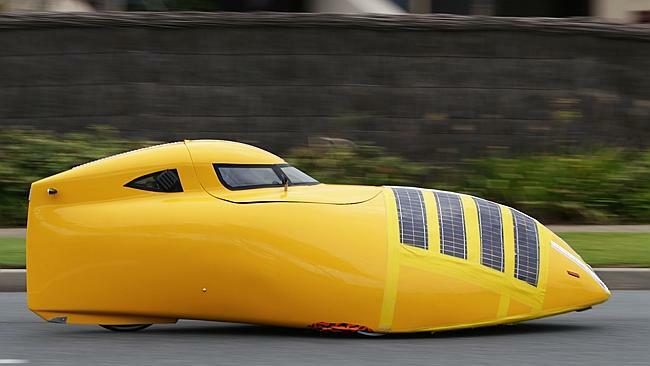 According to what I have read the top maximum speed of a velomobile obtainable on level ground is about 50 mph. That’s pretty impressive. 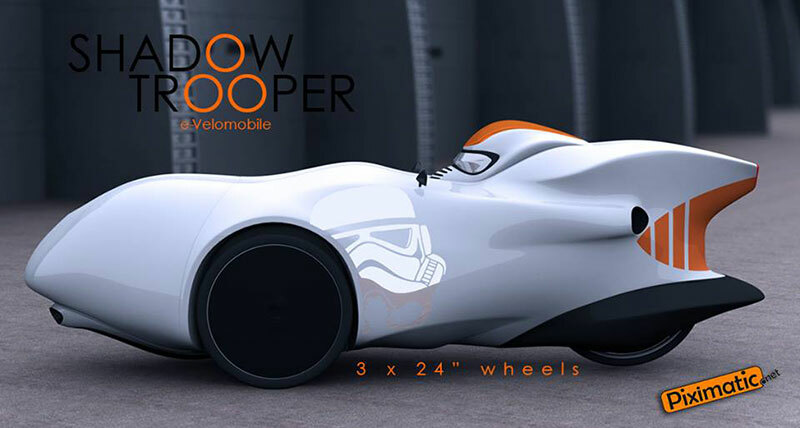 This velomobile is said to be capable of going about 80 mph. 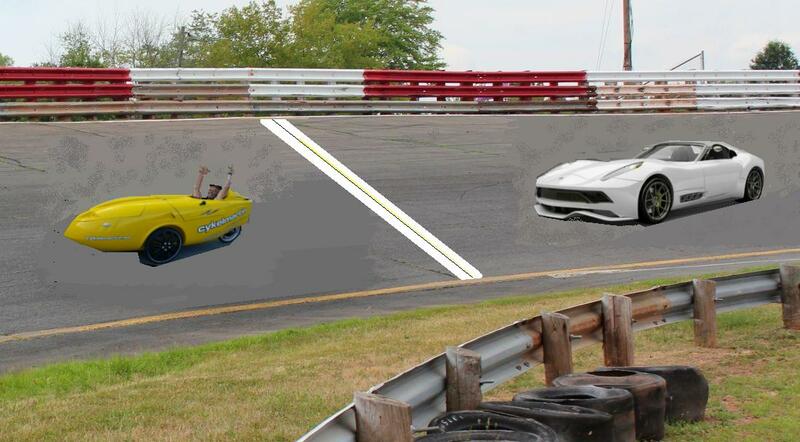 I would say that that is definitely putting the pedal(s) to the metal! 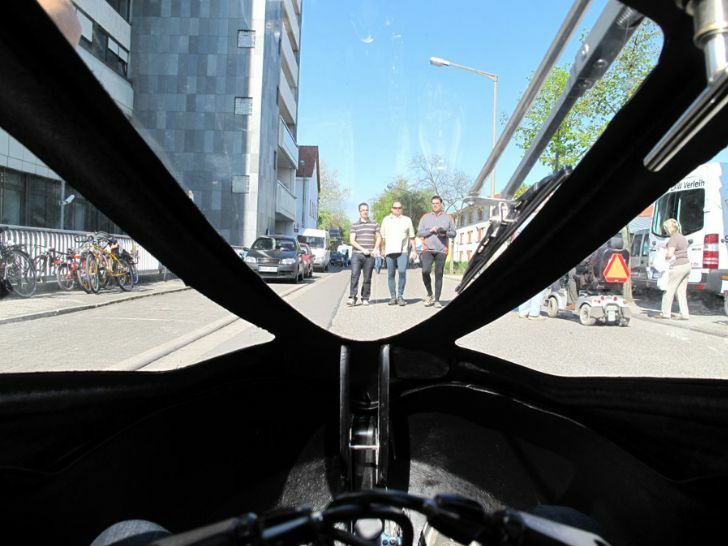 So I can’t help but wonder what we will see in the future in the realm of velomobiles. Buck Rogers, move over! Hey, I worked long and hard to deceive you! 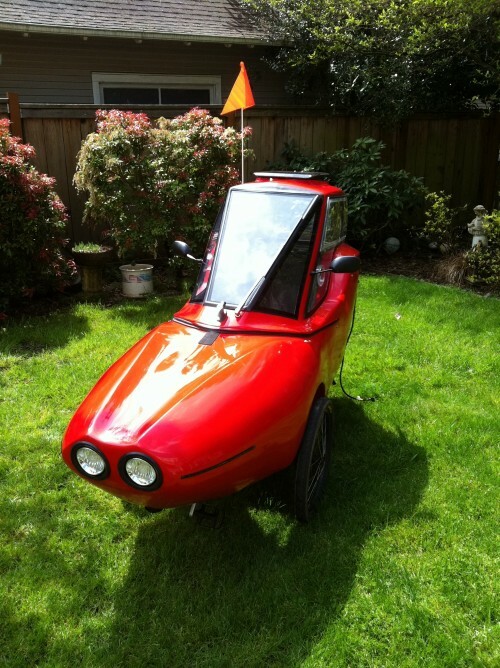 It must be something in the water … seems everybody and their brother is getting into making electric assist motorized “velocars” (technically they are velomobiles) built upon a tadpole trike. Here are 3 of them … the ELF, the e-Fox and the Tripod. The concept is great. The problem I have with every design I have seen thus far is the fact that they make them too difficult to get in and out of. I mean, why not just put a door in the side like a regular car or truck has? Someone who is elderly, overweight and out of shape, or has various physical problems could not possibly deal with the design of these. I don’t understand the mentality here and I certainly don’t agree with it. It is flawed from the git go. If I were going to design one of these that would be one of the top priorities … easy entry and exit. I understand that the strongest body is one piece and that a door takes away from that. However, for me it is not an option. A door is essential. The designer just simply has to work with that. Well, I spun my wheels on that one. On with these 3 designs. 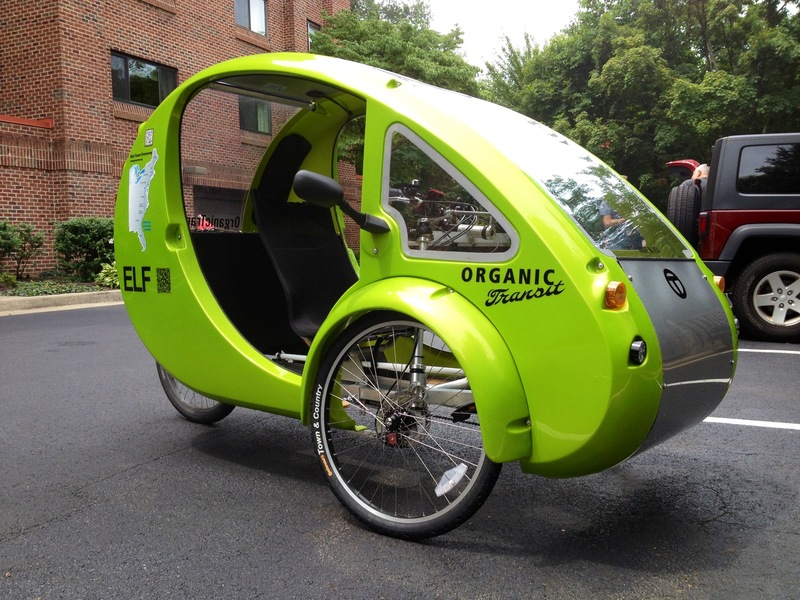 The ELF made by Organic Transit is probably the best known of the 3 at this point in time so I will start off with it. One might say it has an “elfin” quality (pun intended). At 160 pounds it weighs considerably less than your more common family car (if you have a family car). BTW – I have seen the weight listed as 132 and 150 also, but their website shows 160 so that is what I am going with. It has a 350 pound payload. The electric motor is 750 Watt. It has a 15 mile range on a full charge. It takes 2.5 hours to charge plugged into a 110 volt wall outlet or about 7 hours using the solar panel on a sunny day. They offer 3 models. 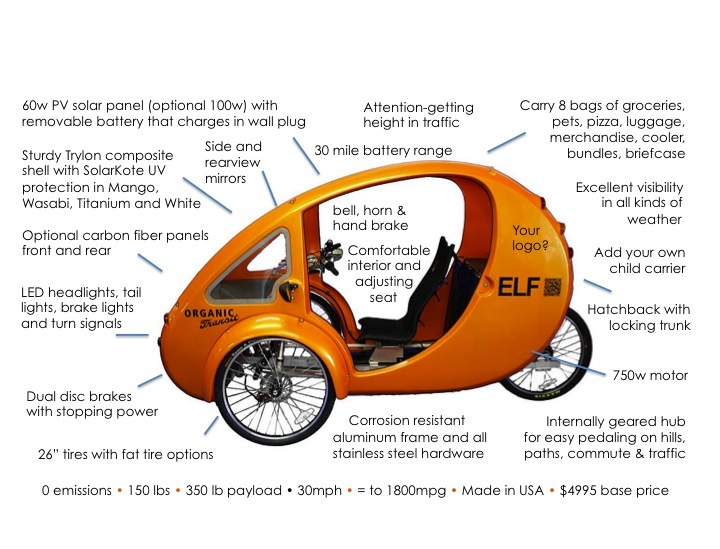 One thing I noticed about the ELF is that there is no floor in it. It is open to the ground. I see good and bad in this. The good is that one doesn’t have to worry about the floor being strong enough to put one’s weight on. In hot weather having air coming up thru the floor area would probably be a God-send. With no floor there is nothing to get messed up tracking all sorts of debris from one’s shoes. 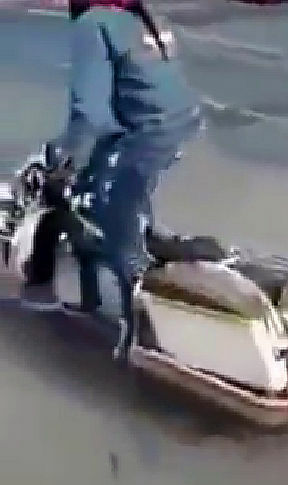 The bad is that one’s feet and legs could get injured if they go down and make contact with the ground while the trike is moving. Another bad aspect is that water and other “stuff” could and would come up on the rider. With no floor there is not anyway to carry stuff around that you might prefer to simply toss on the floor if there were one. In cold weather cold air would come up thru there. Hmmm, can’t seem to win for losing. 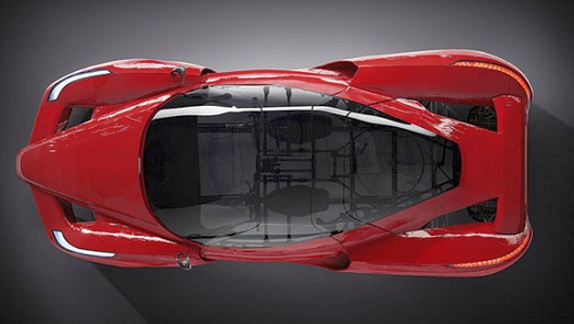 No doubt being able to place one’s feet on the ground is the means of the “reverse gear” to back the velocar up. They offer a bunch of accessories. Check them out HERE. Doors (pictured below) can be added for about $200. I mentioned that they offer 3 models. They are the basic model which is what I have shown in pictures thus far. 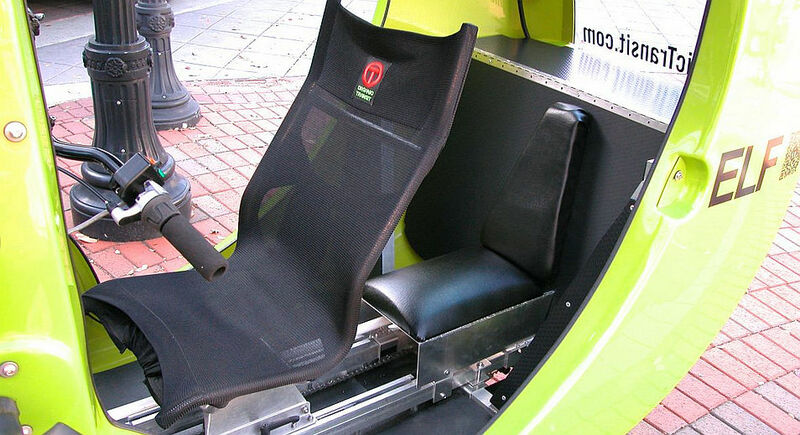 The second model is a 2 seater. Actually I just discovered that they have a 3 seater as well. And the 3 rd model is … well, most of us wouldn’t qualify for it … it is for the police. Actually I am only kidding. I think anyone could buy this model. It has some extra features such as stronger motor and battery pack with higher speed and range on motor/battery only. It is even a traditonal police black and white vehicle … cute. Actually it is not just for police. Here is what they say … “community policing, events management, corporate and academic campus maintenance and grounds, and any situation where you need to all-day performance with heavy payload capabilities, comfort, visibility and more.” This model is heavier duty in most areas. It is also about 45 pounds or so heavier. Some of that extra weight is due to it having dual battery packs. We are talking a whopping 1000 watt electric motor and double battery pack enabling the trike to go 28 mph and 45 mile range on battery & motor only. HERE are the various models and features that can be ordered. 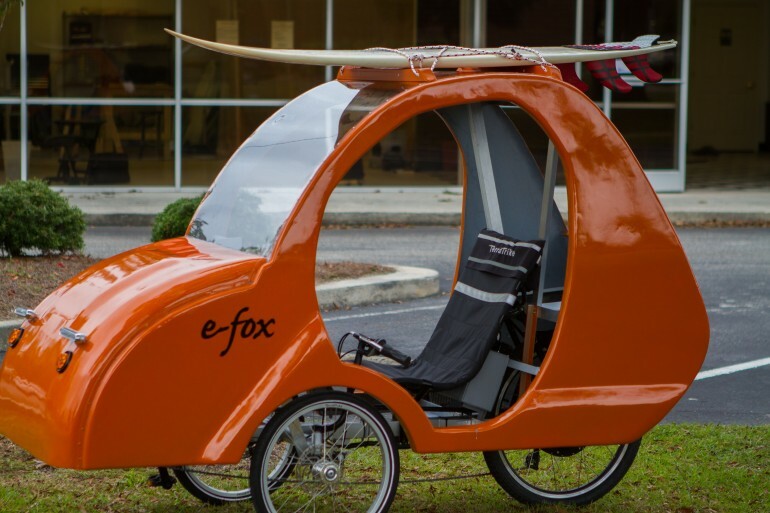 Next let’s look at the e-Fox made by Nu Way 2 Commute out of North Carolina. 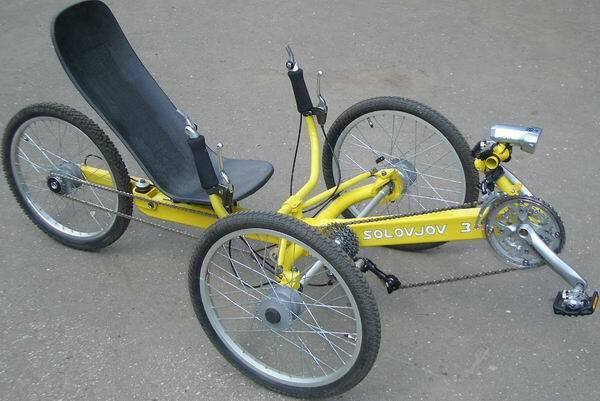 It is built on a TerraTrike Rover. 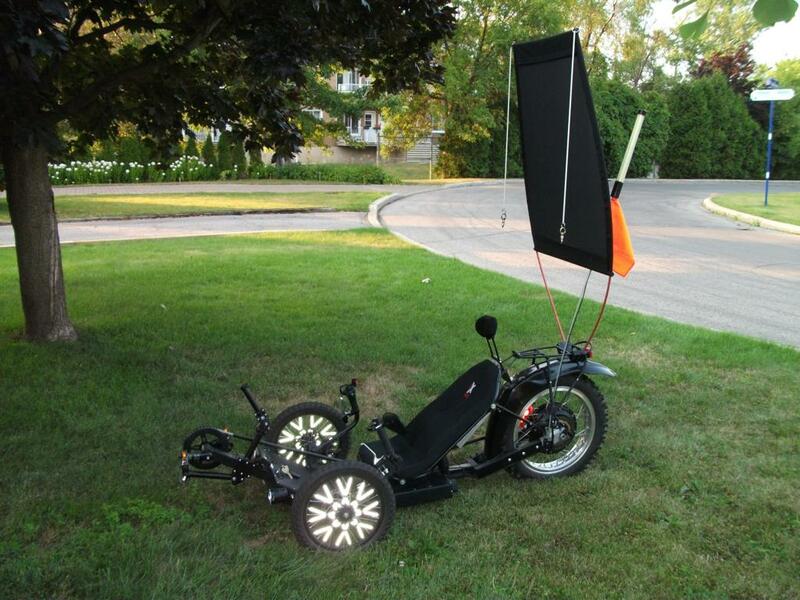 Update Bulletin: I just read that the kickstarter fund raising for this e-trike was unsuccessful. The Nu Wa y 2 Commute company website is no longer available. going to spend much time and effort writing about it. 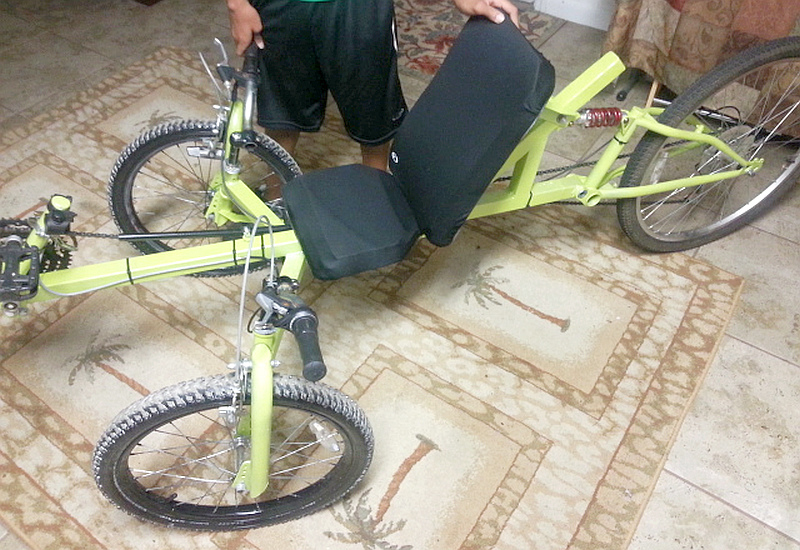 132 pounds, 36 volt 15 amp hour battery, 500 Watt hub motor, 30 miles per charge with upgrades available. Lastly let’s look at the Tripod. It is made in Portland, Oregon by Columbia Cycle Works. 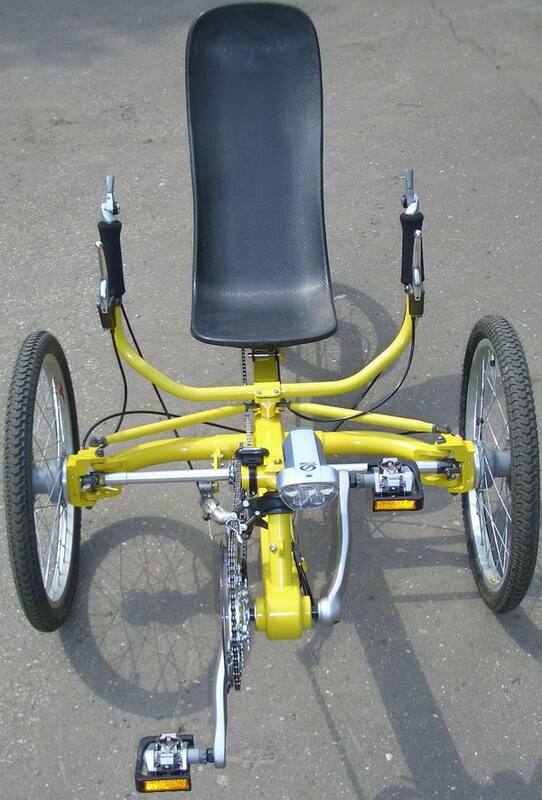 The operator sits higher and more upright than most tadpole trikes. This helps not only to see better while traveling along, but it also helps others to see the operator of the vehicle and the vehicle better. 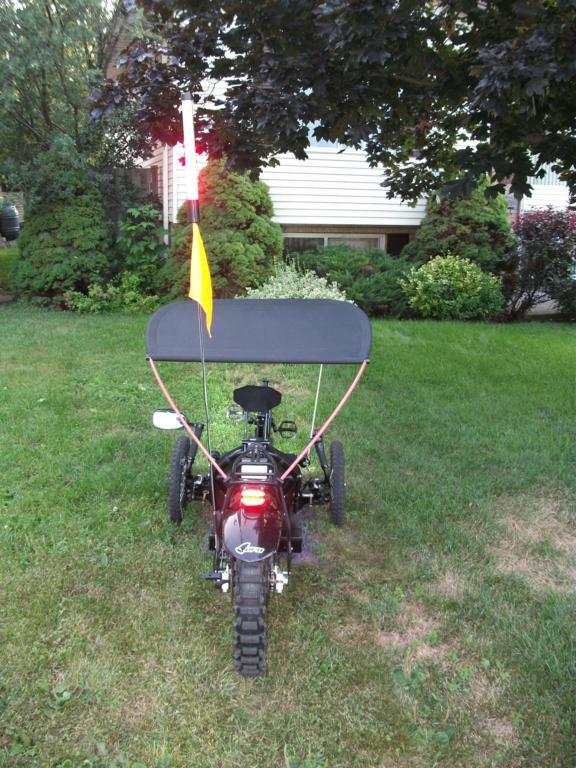 It comes with a retractable battery-charging cord, lights, horn, and windshield wiper. The top part is removable. The windows open as does the sun roof. 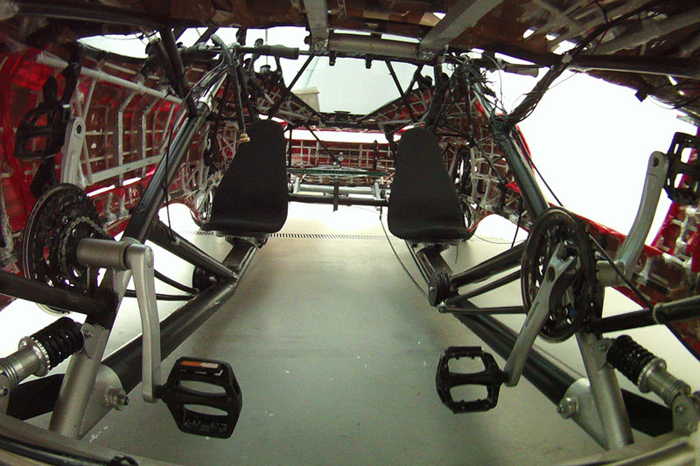 The top lifts up aided by gas filled struts so that one can get in and out of it. It has a 500 Watt hub motor which will propel the 110* (without a battery) pound vehicle up to the maximum legal speed allowed of 20 mph. Any faster than that you will probably find yourself dealing with the police. The Tripod doesn’t come with a battery so that means that the buyer has to come up with his own battery. The 110* pound weight I mentioned does not include a battery. An exterior keyed lock, locks the hatch when not in use. 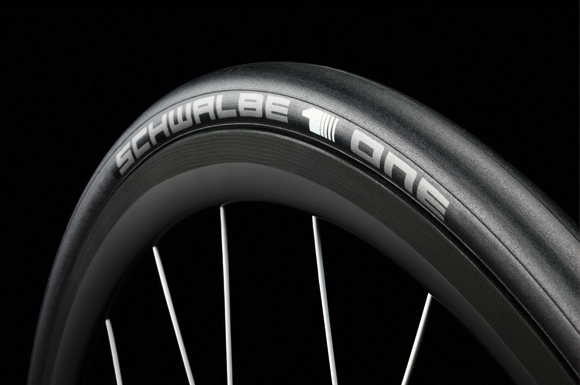 All 3 wheels have disc brakes. 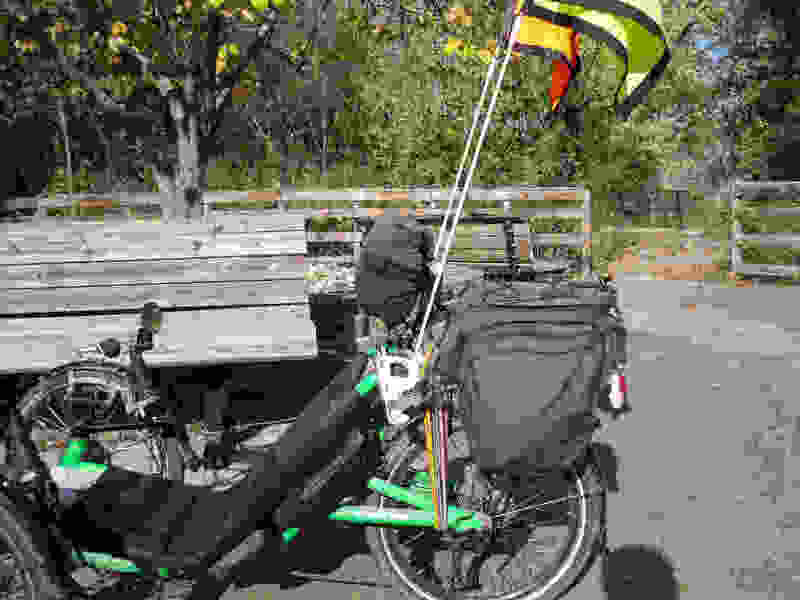 The Tripod comes in three bright colors: lime green, tangerine orange and canary yellow. The cost of a Tripod is US$7,450. Because Tripods are made to order, completion usually takes two to three weeks from the time of order. Also, because they are made to order a one-half purchase price non-refundable deposit must be received with the order. The remaining balance is due at the time of shipment. All purchases are handled by certified check or through Paypal. Of the three of them it looks to me like the ELF would be the easiest to get in and out of although I would say even it would be a bit challenging for many folks. And the ELF is by far the cheapest base price. At least for far less money than the Tripod which doesn’t even come with a battery. Batteries are not cheap so add that onto the price of the Tripod and you are definitely talking about some money. I really don’t understand the considerable difference in the price of these two machines. The Tripod is half again as much as the ELF, and did I mention that you still need to buy a battery? While I am at it I will mention one other brand that is out there … the HORNET. 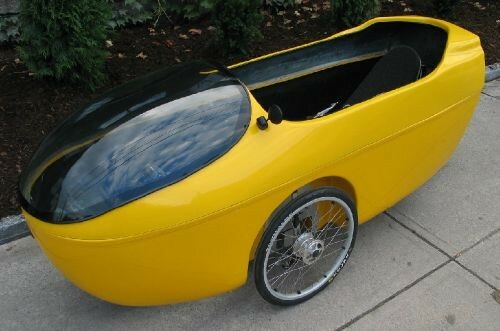 It is Canadian and is pretty much a velomobile built around a 350 Watt electric motor. It is a little bit more than the ELF in cost, but far less than the Tripod. And it comes with a battery. There is no top for it however so the rider is exposed to the weather. This is a bare bones model. Lights and turn signals are extra cost accessories. 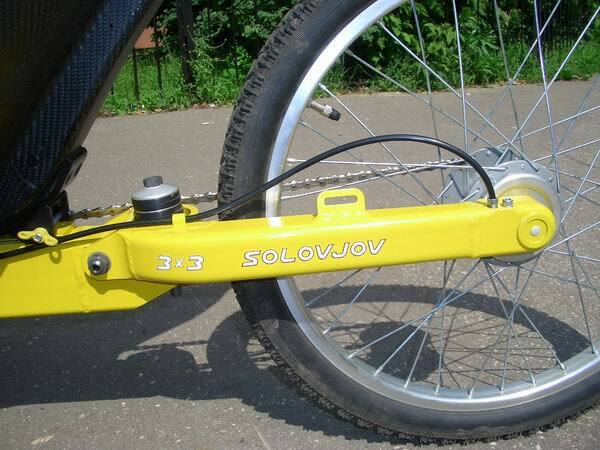 A larger motor is also available as is a 26 inch rear wheel. 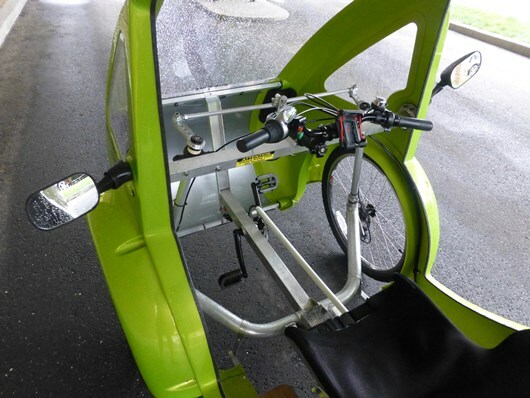 Overall I am not impressed with this offering although I will say that is is one of the lowest cost velomobiles I have seen and it even comes with an electric motor. It is just not in the same category of these “velocars”. Well, that is it as far as these 3 offerings. What do you think? Are these “trikes to the future”? Hold on … next week there will probably be some other new offering. Everybody and his brother is getting into this. You knew that, right? 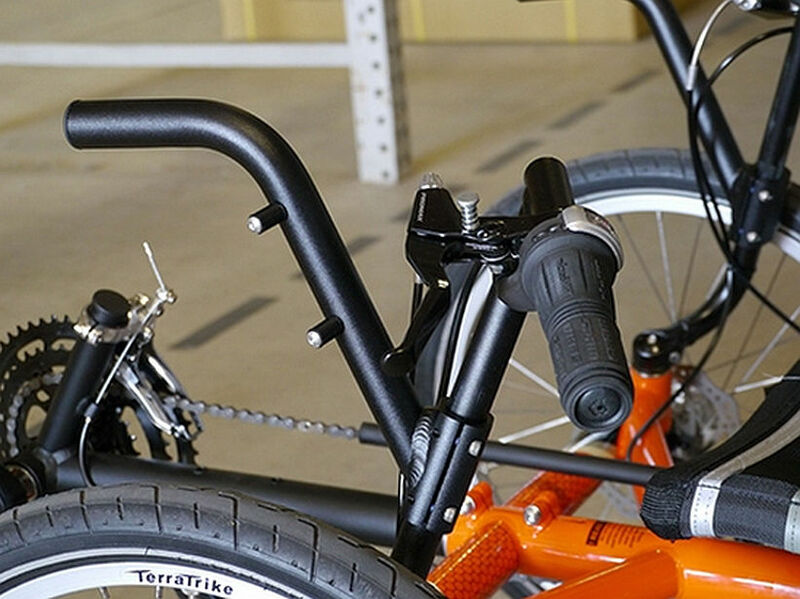 It will be interesting to see if these trikes succeed and the companies can stay in business.